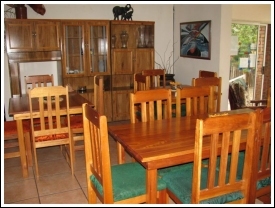 This guesthouse is equipped with nine bedrooms (8 en-suite) and is situated at 137 Tarentaal Avenue in the Kremetart residential suburb about 3 km away from the Giyani CBD. 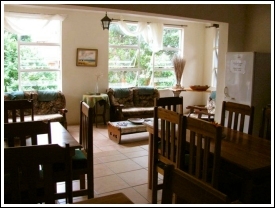 Breakfast is served but dinners are only available at Mopani Guesthouse. Giyani is situated in the Limpopo Province, 160km east of Polokwane (Pietersburg), 100km from Tzaneen and Makhado (Louis Trichardt) respectively, and 90km from the Punda Maria gate of the Kruger National Park.